consider. We just bought one of these new-fangled “Chrome” laptops. The Chrome OS works only on Chrome laptops, called “Chromebooks.” It is hassle-free andstone simple. Forget about anti-virus, anti-spyware, defragmenting programs and other system utilities, this thing takes care of itself. And it’s fast. Push the on button and boot-up is almost instantaneous. Unlike Windows and Mac, updates to new versions of the software are free. For the upcoming Windows 8, for example, due out this summer, we would either have to buy a new computer with the software already installed or pay Microsoft’s price for the upgrade package.But we’ll get every new version of the Chrome OS for free, automatically updated every six weeks. We jumped the gun a bit and chose the new “beta” version. Now the desktop looks like a Windows, Mac or iPad screen. It feels a lot more natural. Despite the appearance, however, almost everything the Chromebook can do takes place in the Google Cloud. Printing, listening to music, doing email, photo editing and playing games were all easy to do and use. The Chromebook can send a print job to any printer connected to a laptop that’s online, after a simple set-up. The print job first goes into Google’s “Cloud Print,” and is then downloaded to the printers you designate. In our tests, it worked perfectly. Chrome OS has a “file manager” that organizes whatever you download. The file manager can open Word docs, PowerPoint files, spreadsheets, zip files, PDFs, html, MP4 and other music formats, and almost all image formats. Google Docs works offline, so you don’t have to be in Wi-Fi range to compose your manuscript. 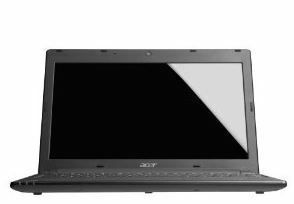 We bought the Acer AC 700 Chromebook at Amazon because it was cheaper than Samsung’s model. We got the version with both a cellular 3G connection and Wi-Fi for $406. There’s also a Wi-Fi-only version for $300. The one with 3G comes with 100 megabytes of data per month for two years. That’s enough to send 200 emails a day when you’re out of range of Wi-Fi, and there’s no contract if you splurge on more. NOTE: If you have a 3G or 4G phone, you can tether it to the cheaper Chromebook, saving yourself $100 while still enjoying the convenience of a cellular connection. The Chromebook weighs 2.7 pounds without the charger and has about six hours of battery life. There’s a built-in camera for video conferencing and a port for connection to an HD TV. The trackpad is lousy, so plug in a mouse. If you like your Windows programs, however, stick with them. Joy, for example, loves web editing software and greeting card programs, as well as Microsoft Office, SnagIt and several other programs. You can’t install any program on a Chromebook that isn’t available on the Chrome Web Store, which has slim pickings, compared to Windows offerings or the Apple iTunes market. It’s best if you’re main focus is web surfing, social networking, simple games, videos and email, or this is your second computer. This is a really useful site. I have several good friends who told me of it and they had been able to eliminate some really horrible spyware from their pc. I’ve read the majority of of your discussions and have to point out they’re really very good.